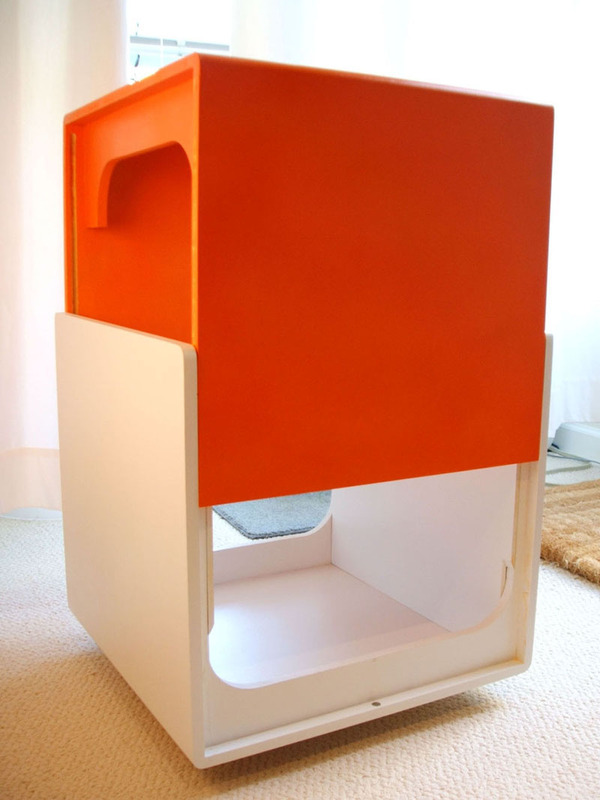 A side table that could store things inside covered, but without the use of swinging side doors. I didn’t want side opening doors so that the footprint of the box could be reduced. The next thought was that you’d open the top like the lid of a box or one of those storage ottomans. However, if it’s a side table, chances are you’re going to have a lamp or some other thing on the table, so I added an additional goal: be able to open the storage without having to remove things off the top. 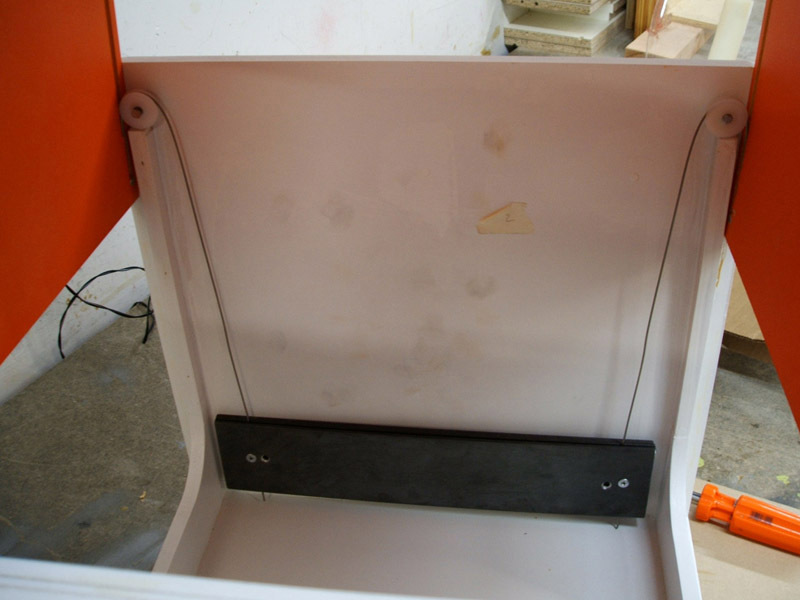 The initial foamcore mockup that presumed a piston type lift, like those used on office chairs. Kinda resembles Darth Vader’s chamber. 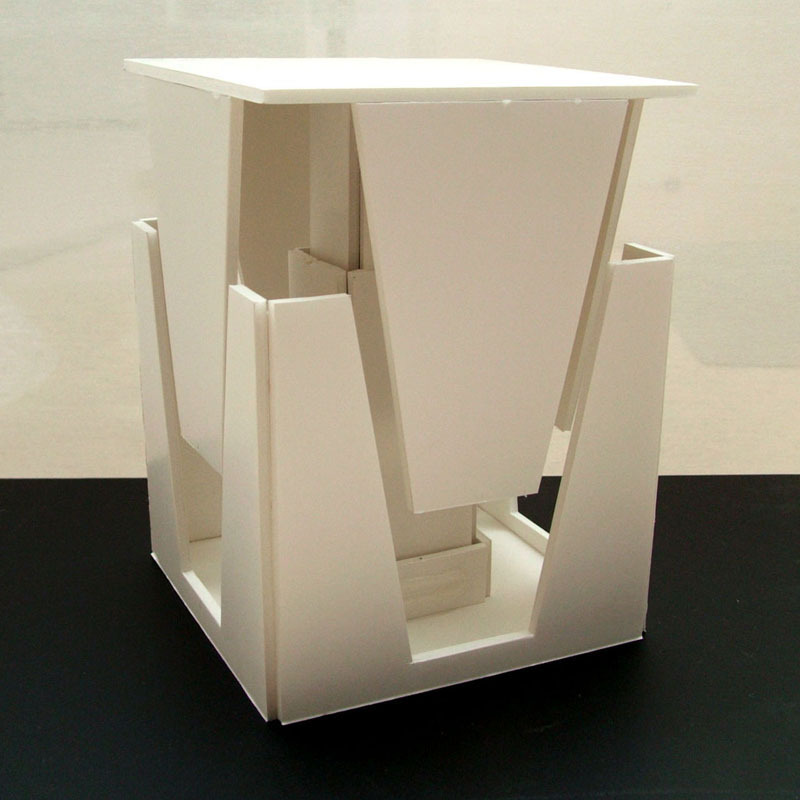 Later carboard mockup that focussed on the form. I really didn’t like that the center piston took up so much space in the storage area, especially for reinforcement. Eventually the box got bigger. That center lift mechanism was proving to be problematic. 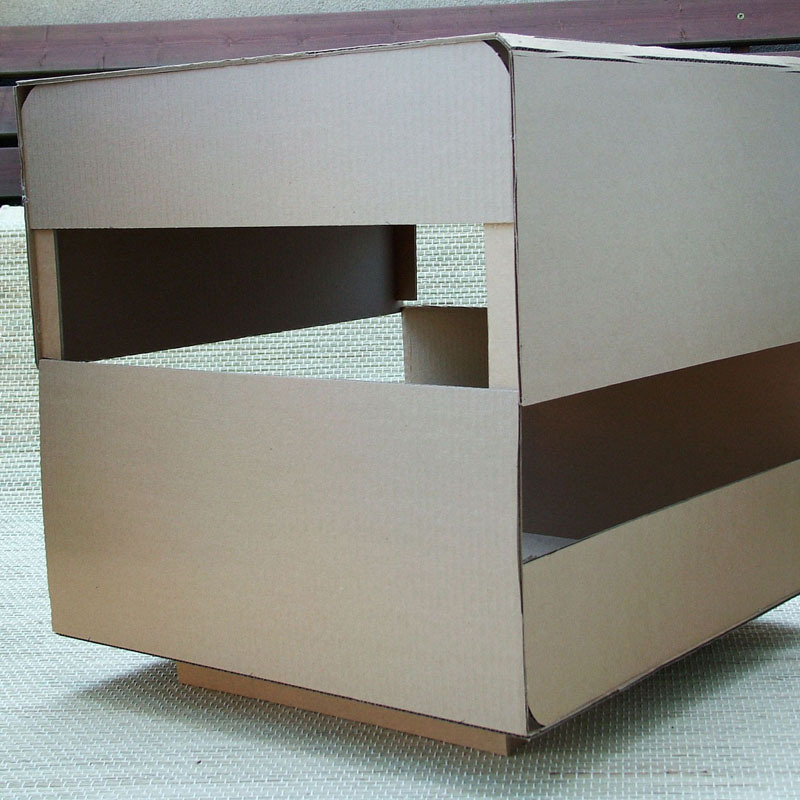 The range of movement wasn’t enough for the box to open enough yet stay within the height dimensions I wanted for a side table. 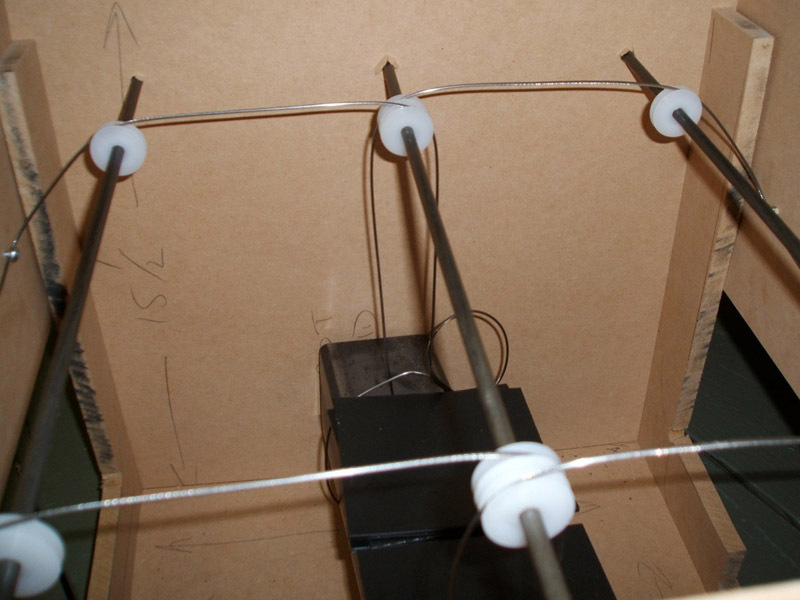 I experimented with other mechanisms with counterweights and pulleys. Success! Eventually I figured out a weighted system on hidden cable track with everything sandwiched inside the walls of the base. Final version. The top always wants to float up, but the magnets on the base keep it down.